Just a quick note: I will be on vacation when this review posts. I may not or may not have internet access during vacation, but I will play catch-up with your blogs and comments when I get back. Readers of my blog know that I'm extremely picky when it comes to reading books that feature angels. Most of these books feature a similar plot with generic characters, but Cynthia Hand's Unearthly series stand out from the crowd with great writing, intriguing characters, and a different spin on the age old debate of free will versus fate. Description: For months Clara Gardner trained to face the fire from her visions, but she wasn't prepared for the choice she had to make that day. And in the aftermath, she discovered that nothing about being part angel is as straightforward as she thought. Now, torn between her love for Tucker and her complicated feelings about the roles she and Christian seem destined to play in a world that is both dangerous and beautiful, Clara struggles with a shocking revelation: Someone she loves will die in a matter of months. With her future uncertain, the only thing Clara knows for sure is that the fire was just the beginning. In this compelling sequel to Unearthly, Cynthia Hand captures the joy of first love, the anguish of loss, and the confusion of becoming who you are. 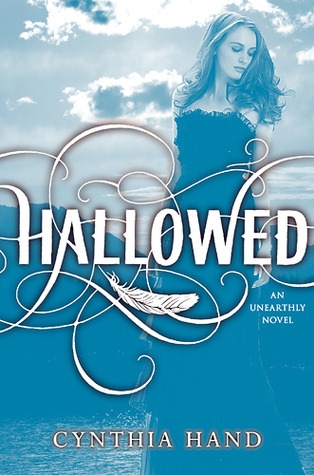 Review: Hallowed beings a few months after the world altering events of Unearthly. I highly suggest reading the first book to become familiar with the characters and the setting before jumping into this sequel. 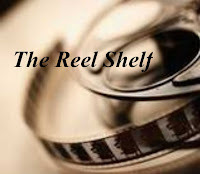 For the most part Hand deftly avoids the middle book syndrome with Hallowed and adds a complex layer to her characters, plot, and tone of the book. Hallowed is a much darker, somber read than Unearthly but I still enjoyed it. The likable Clara Gardner faces her senior year with a new set of problems. She is beginning to have nightmares. Each dream ends the same way with the death of a person who is close to her. With the help of some friends, Clara tries to piece together clues and a new purpose from the dreams. At first glance, the person in danger seems to be obvious but I was a bit surprised when the big reveal came and it turned out to be someone completely different. Along with solving the mystery as time ticks away, Clara must also be on constant watch for the evil fallen angel (known as a Black Wing) Samjeeza. Unlike most middle books in the paranormal/supernatural romances where nothing new is added, we learn a lot about the lives of angels and Clara's own angel qualities. We meet new and fascinating characters along with surprising revelations. Although it's clear which direction Clara's increasingly petulant younger brother, Jeffrey, is heading, I wanted to learn more about him. He really does seem to have a minor role in this book and I'm wondering if he will play a large part in the third book. As in the first novel, the incessant conflict between destiny and free will drives Clara's actions and heart. In Hallowed, Clara receives tough love in coming to terms of being powerless in certain situations. It's a wake-up call for her and it once again makes he wonder if she'll ever have an ordinary life. She begins to question how she's living her life including who she is allowed to love. While there is a love triangle in Hallowed, it doesn't present itself in the ordinary ways we seem them in books. Yes, the charming and adorable Tucker Avery is still present but his appearance is limited due to the focus on angels and their lifestyles. Christian, who I thought wasn't a fully developed character to form an opinion of, is fully fleshed out in Hallowed. He doesn't worm his way into Clara's heart and cause a rift with Tucker, but becomes Clara's sounding board when she needs someone to talk to as he has first hand experience of what she is going through. I'm definitely still on Team Tucker, but I can't label Christian as the bad guy nor can I discredit his allure. I'm very anxious to read Boundless to see how everything ends. Words of Caution: There are some disturbing images and suggestions of underage drinking. Recommended for Grades 7 and up. "He doesn't worm his way into Clara's heart and cause a rift with Tucker, but becomes Clara's sounding board when she needs someone to talk to as he has first hand experience of what she is going through." YES! This is what I loved about Christian as well, he didn't try to cause drama and be the third point of a triangle. I'm definitely still Team Tucker as well, but like you, I couldn't hate Christian or make him a villain. So glad you enjoyed this one as much as I did Rummanah, and I hope you're having a fabulous vacation! I have yet to read Unearthly, so I kind of just skimmed your review, but I'm pretty picky when it comes to Angel stories too. Glad to know Hand's got it right. I hope you are having a wonderful vacation. I know I'm looking forward to mine. The angel novels I've been reading lately haven't really been spectacular so it's weird that I still haven't read Unearthly. I really should get around to reading it because all the reviews I've seen for this series have been favourable. I'm really happy that you thought this one didn't suffer from the dreaded sequel syndrome. Oh, and hope you're having a wonderful vacation, Rummanah.! Don't Fear the Reaper Read-Along!